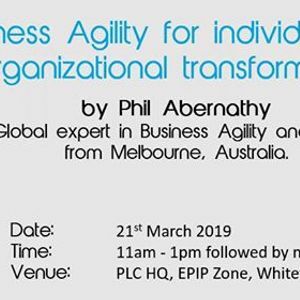 Inviting you for an executive discussion on “Business Agility for individual and organizational transformation”, by Phil Abernathy – a Global expert in Business Agility and LEAN from Melbourne, Australia. While many organizations have teams working in an agile way, very few businesses have been able to implement this model across their entire enterprise. Join us as we explore the impact of marketplace and business strategies as a key context in Agile Leadership Development solutions for establishing faster, cheaper, and better results for organizations. Discover research based insights on Business Agility and adaptability in leaders. 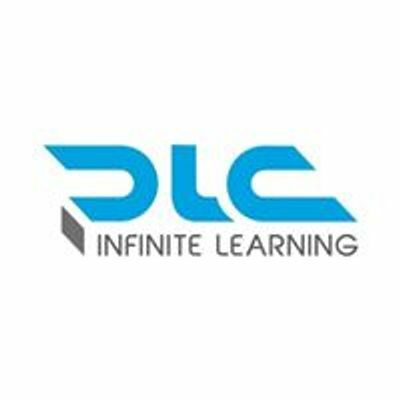 This is an open discussion forum to learn about business agility transformation and solutions for continuous improvement of broad and deep pipeline of leaders – while networking and idea sharing with your peers across different domains. Kindly mail on YW5hbnlhICEgamFpbiB8IHByYXRpYW4gISBjb20= to avail your booking ID.